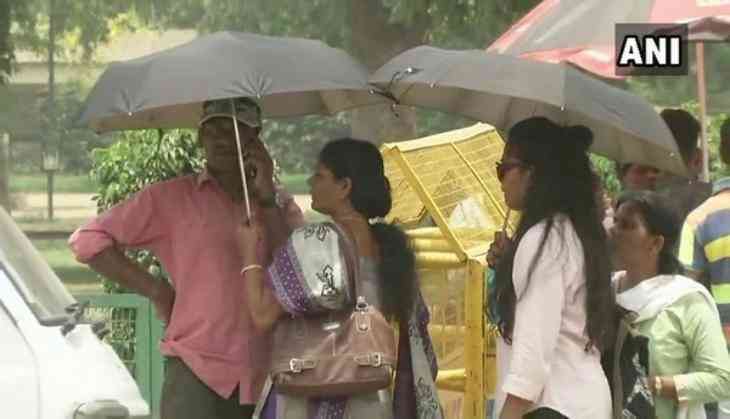 The India Meteorological Department (IMD) on Wednesday said that heat wave condition will prevail in Punjab, Haryana, Delhi NCR, Uttar Pradesh and Rajasthan for next four to five days. Kuldeep Shrivastava from IMD, Delhi told ANI, "Temperature will be above 45 degrees. Parts of Delhi NCR, Rajasthan and Uttar Pradesh will experience dust storm on May 24." The Central and Northern India continue to remain under the grip of a heat wave. With the temperature soaring at and above 40 °C and in Uttar Pradesh, the scorching sun is making it difficult for the resident of Allahabad to beat the heat. "The blazing sun and the hot winds are so strong that it feels as if will burn us down. The temperature is already at 46, but it feels hotter than this," said one of the locals. The people in Kanpur and Varanasi are also having a tough time beating the heat. To tackle the scorching heat, Varanasi citizens are drinking kulhad 'lassi' (buttermilk) and eating curd on a daily basis. Similarly, the people of Kanpur are relying on Lemon drinks and soft drinks to avoid dehydration.